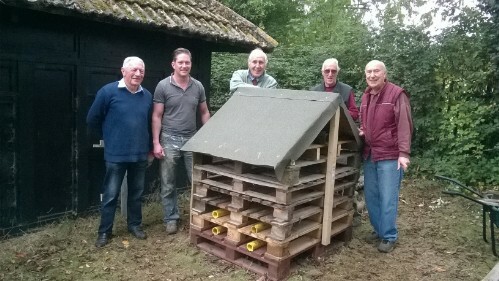 The first stage of our "Premier bug hotel" was built by our October working party volunteers together with members of the Ecology Group. 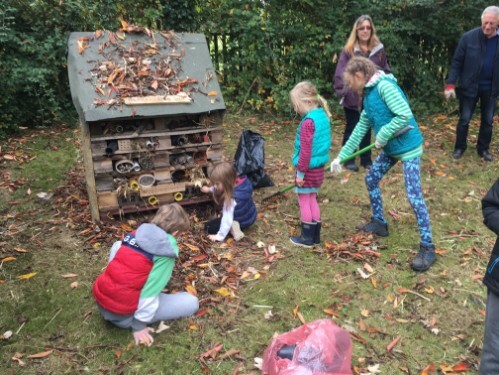 This was to enable members' children to help furnish the "Bug hotel" in the October half term holiday. 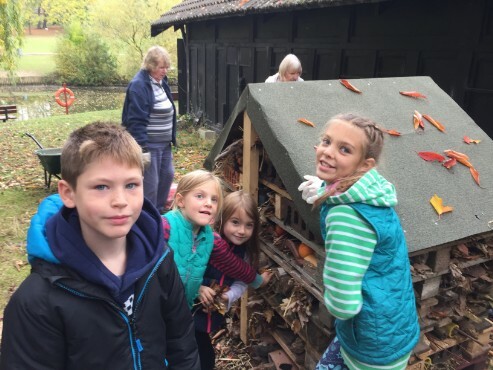 Firstly we had to assemble a large quantity of suitable material to create suitable spaces for the various insects and bugs to make their home. One morning at half term five children helped by members of the Ecology Group spent an exciting couple of hours carrying out the fitting out. It was a delight how quickly the children bought into the work in hand and we eagerly wait to see what creatures will make it home. 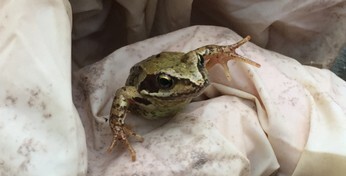 With perfect timing while we were finishing off we had our first visitor, a little frog. The statue of the Child in the Park, and the garden surrounding it, were completed in 2001 by Billericay Early Years Forum as a Millennium project and ‘a gift from the children of the present and the past to the children of the future.’ The area has provided much enjoyment for many of our local families over the years but everyone agrees that it now needs refurbishment. Plans were recently submitted to Veolia North Thames Trust, on behalf of FoLM, by Billericay Town Council. and we are delighted that Veolia have made an award covering the costs of the refurbishment work. The project consists of providing a new surface to the main paths and area around the statue, similar to the path in the wood, and the addition of bark-chip paths, which will meander through the garden to allow children to explore and find hidden corners. A wide ranging planting scheme, designed by a local horticulturalist, will provide good groundcover and plants to be enjoyed throughout all times of the year. This work was completed in April and the Garden reopened.